Mesenchymal stem cells (MSC) have been extensively studied over the past years for the treatment of different diseases. Most of the ongoing clinical trials currently involve the use of MSC derived from adult tissues. This source may have some limitations, particularly with therapies that may require extensive and repetitive cell dosage. However, nowadays, there is a staggering growth in literature on a new source of MSC. 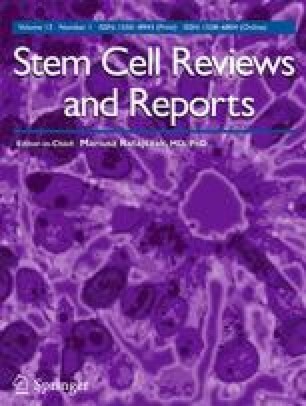 There is now increasing evidence about the mesenchymal differentiation from pluripotent stem cell (PSC). Here, we summarize the current knowledge of pluripotent-derived mesenchymal stem cells (PD-MSC). We present a historical perspective on the subject, and then discuss some critical questions that remain unanswered. This work is possible thanks to supporting grants from CONICET (PIP-112-20150100723) and FONCYT (PID-2014-0052, PICT-2015-1469, PICT-2015-0868, y PICT-2015-3850). We thank Fundación FLENI and Fundación Pérez Companc for their support.